When’s The Last Time You Re-Up’d Your Stash? | .forever.as.i.am. Hello hello hello lovelies, hope everyone is doing great. It’s been so long since I’ve had to seriously think about or purchase products for my hair I completely forgot about it. I don’t think I’ve really had to buy anything in about 6-8 months. I’ve been pretty consistent these past few months in sticking with my usual staples and avoiding the product junkie realm, but I will admit I have been getting bored and I want to try some new stuff! The items with the pink heart next to them are the new additions I hope to incorporate into my regimen, and the red hearts are my regulars. Helps with dandruff, breakage, and split ends. Increases blood circulation in the scalp. Most effective when combined with scalp massage. Contains essential fatty acids that help smooth and protect dry frizzy hair. Softens hair and adds shine. Great in hot oil treatments. It is the closest in molecular structure to our own scalps natural oil, sebum. Therefore it is the most ideal for our hair and skin. Is basically a liquid wax and this wax coats the hair in a thin protective layer. Has a low molecular weight and can strengthen hair from the inside due to its ability to penetrate the hair shaft. *Even so, one should never attempt to moisturize with an oil alone as this will eventually lead to severe dryness and eventually breakage. Always use a water based moisturizer or leave in conditioner before sealing with any oil. Has more monosaturated fatty acids than extra virgin olive oil. These fatty acids add moisture, strengthens hair, and provides a layer of protection. Contains: antioxidants, amino acids, vitamin A, D, E, B6, copper, folic acid, magnesium, and iron which are all essential for healthy hair and growth. low molecular weight which is the reason why it is able to penetrate the hair shaft unlike most other oils which are too big in comparison and just sit on the surface of your hair. Aloe Vera Juice – Helps deeply moisturize hair, helps prevent hair loss, aids in dandruff control, prevents oily hair, and also makes a great detangler on damaged hair. Silicone Whisk – For mixing my bentonite hair clay masks thoroughly. Giovanni Smooth As Silk Shampoo and Conditioner – Has had some great reviews from naturals all around, would like to give it a try and see for myself. Plastic Hair Caps ( Sorry Beyonce, not you.) 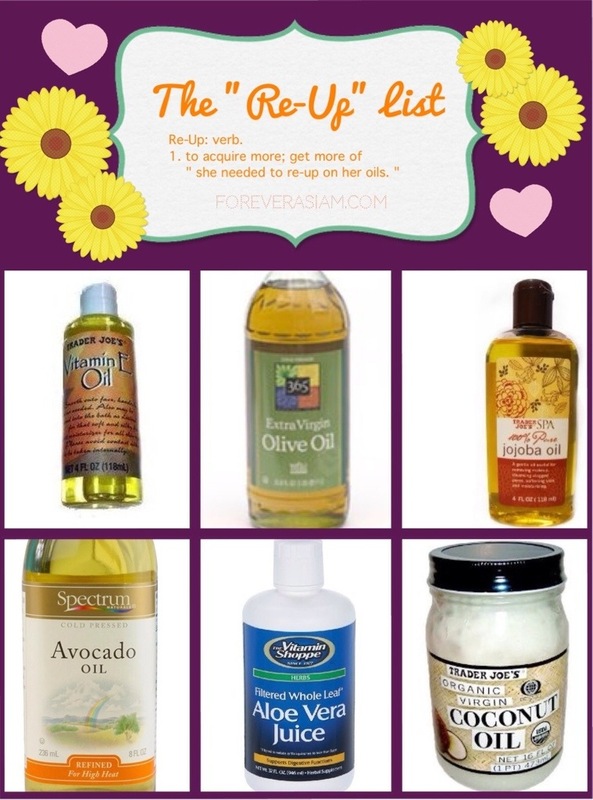 – For messy hot oil and deep conditioning sessions. Rose Water – Have also heard great things about this for hair and overall skin health. 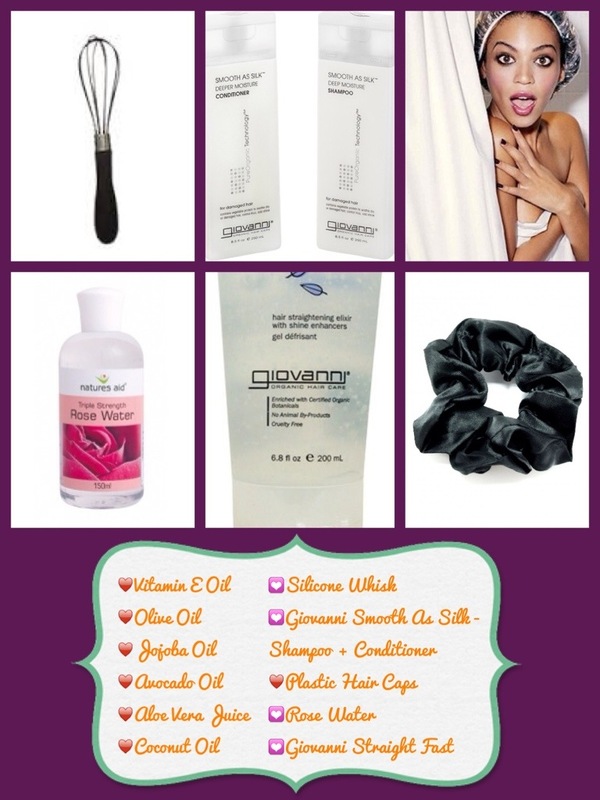 Giovanni Straight Fast – Supposed to be a leave in gel of some sorts that aids in the straightening of hair. hmm.. Still have to do more research on this. Satin Scrunchies – Helps prevent breakage for pony tailed styles. So yea there you have it, these are pretty much all the products I hope to cop’ when I have the munnies. I’d say all this will last me about another 8-9 months, maybe even a year since I plan on putting my hair up in twists soon. Some days ago you come in my mind! I washed my hair with a Lush shampoo, whose name in italian in “Dolce metà”. It smells like honey….and it was like having honey on my hair, but I’ve understood this while I was drying! It was orrible! I was late, beacause I had to go having dinner with my collegues, I rinsed my hair again but it was useless. I used iron and dry shampoo (I don’t know the true name, but I hope you can understand what I mean…it’s a spray you put on your hair if you cannot wash). I wanted to scream!!!! WordPress marks me as spam everywhere! It didn’t seem sticky…but it was!